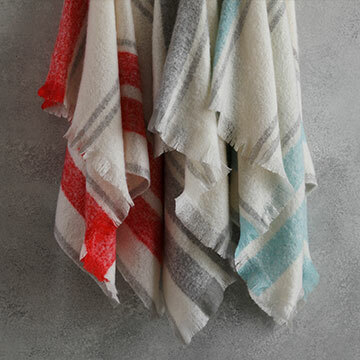 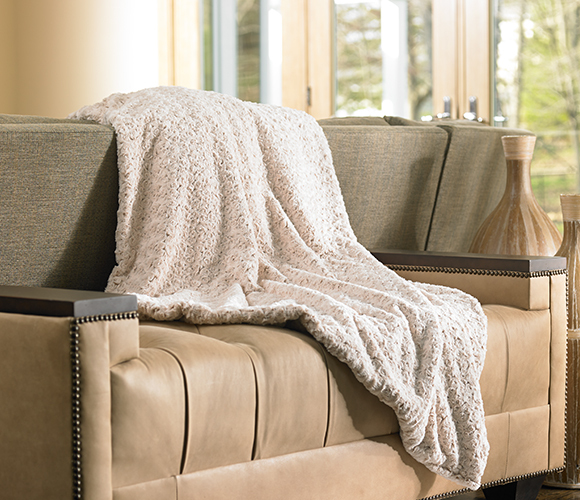 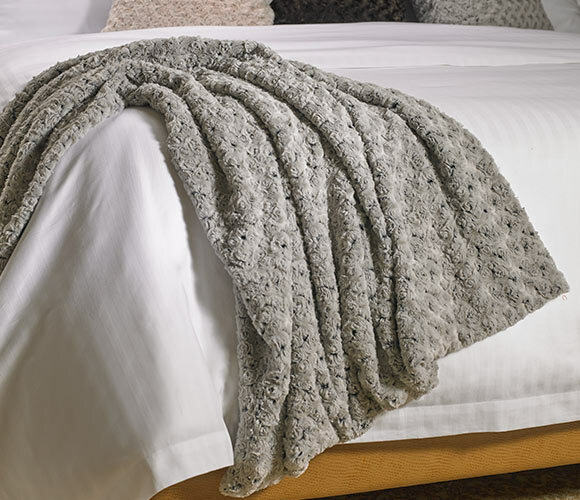 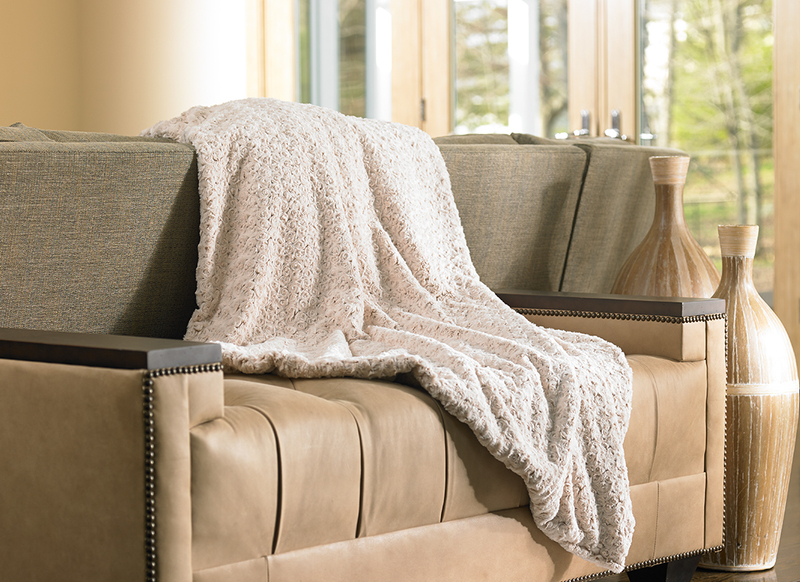 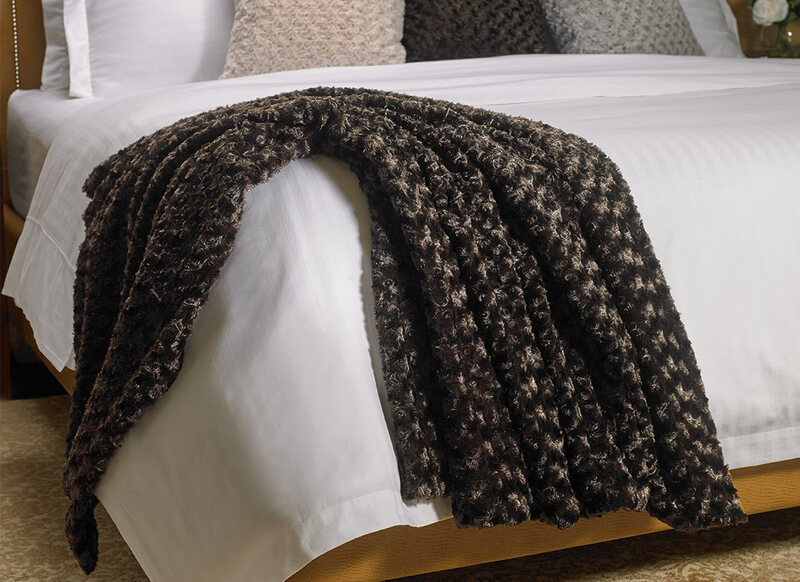 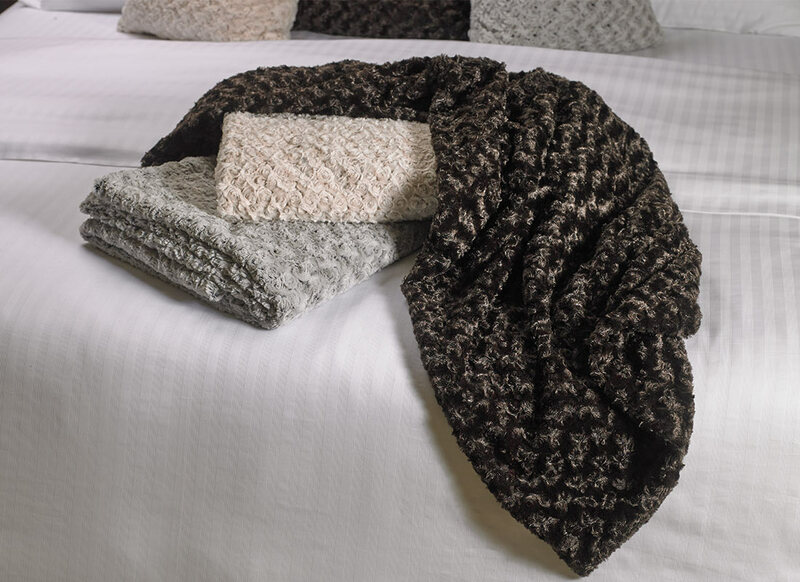 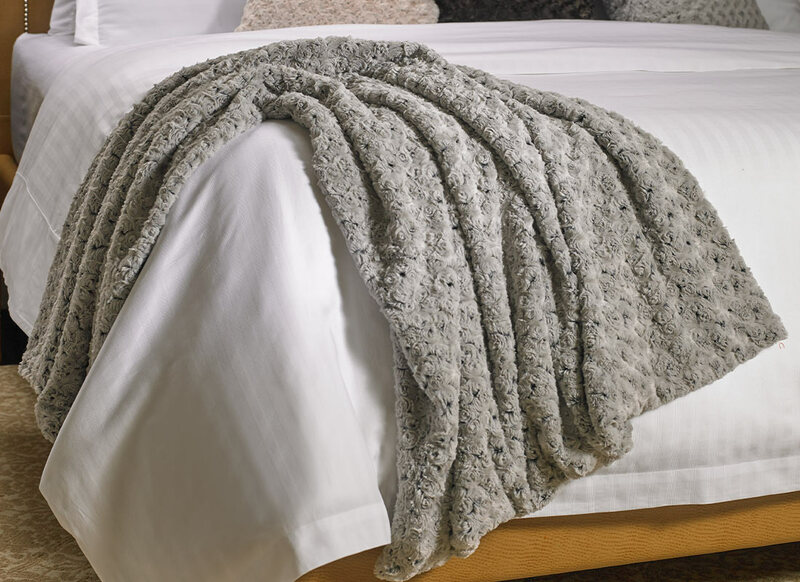 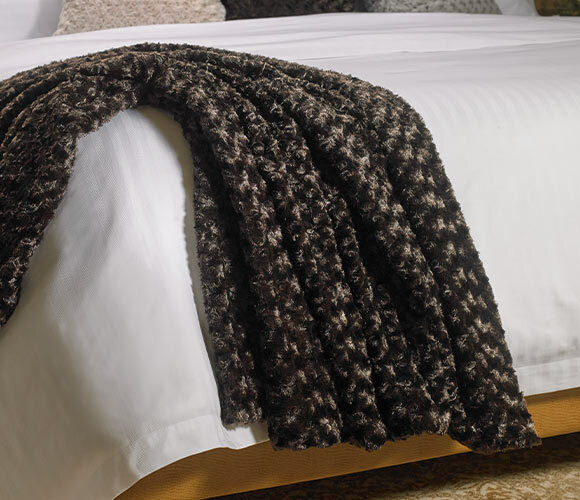 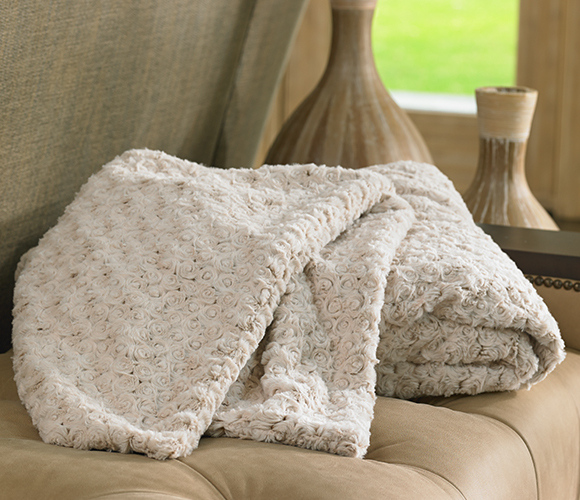 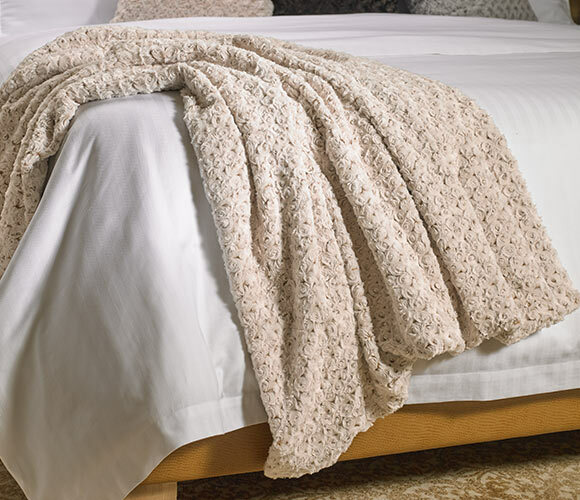 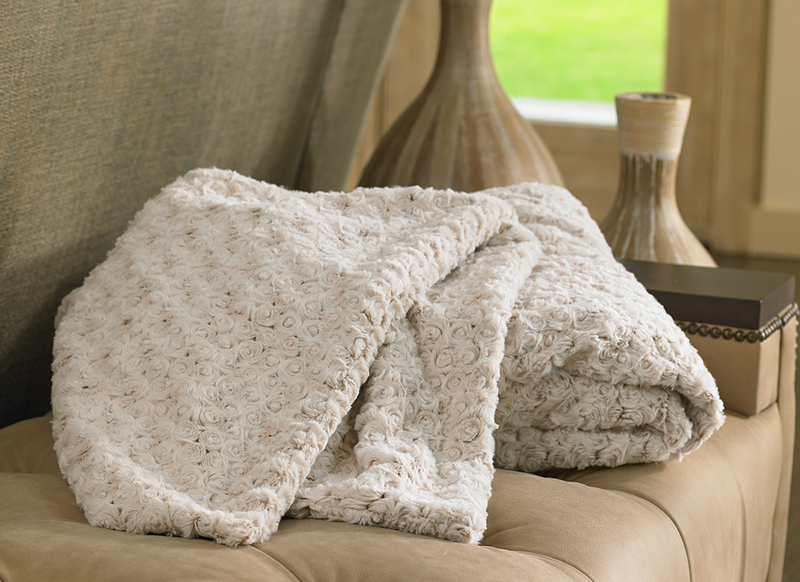 Ultra-soft and luxurious, this Rosebud Throw provides endless warmth and comfort with carefully chosen premium microfiber fabric. 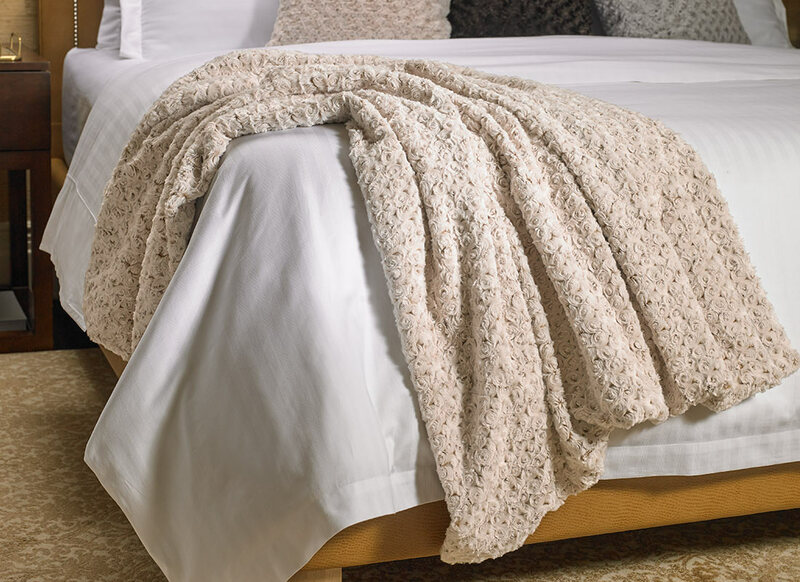 The rosebud pattern, in nature-inspired cream and sand or silver and grey, adds style and delicate texture to any bedding set or living room decor. 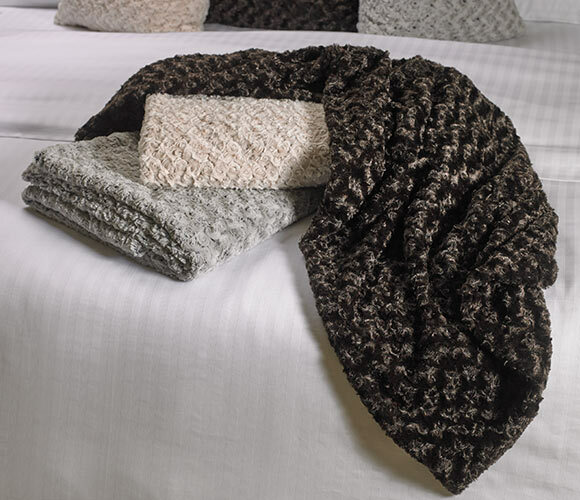 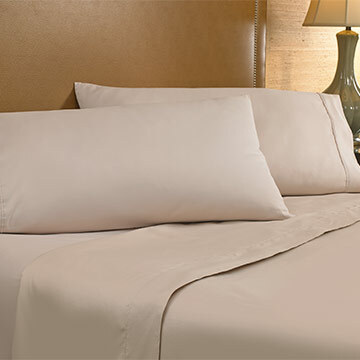 Made in San Francisco; Incredibly soft microfiber; Choose from Sand/Cream or Silver/Grey; Machine washable in cold water, on gentle; Hang dry; 45" x 60".